Last night Pinkberry celebrated opening their first Canadian store at The Village at Park Royal in West Vancouver and I had the opportunity to attend the stunning event. Bonnie Dune (whose drummer is the adorable Corey Monteith -- Finn from Glee) played an incredible set for the crowd while we enjoyed champagne and a free sample of the delicious frozen dessert. 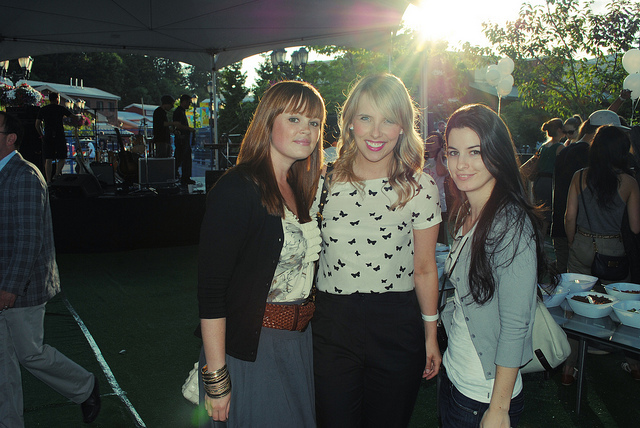 All of these gorgeous ladies have amazing blogs so make sure you check them out! A huge thanks to Pinkberry and Lisa Kwong for putting on such a fabulous event. The only downside is that I've been craving coconut frozen yogurt all day today. Actually that isn't a downside... anyone want to take a drive to West Van? Oh my godddd Finn from Glee! I'm jealous you got to see him play. This sounds like so much fun - I wish we had decent frozen yoghurt places here in New Zealand, sigh. And you are looking super adorable, as always. 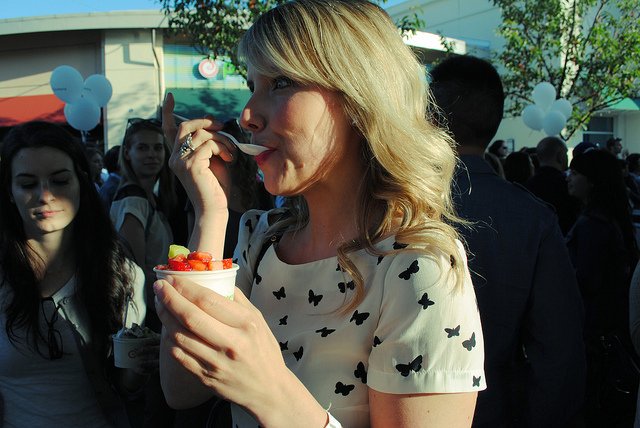 This looks like so much fun- I mean, froyo, champagne AND stalking of a hot boy?? C'mon, that's just a perfect night right there! Omigosh, I didn't know that coconut was one of the flavours! Must get to Pinkberry STAT. What a cute band! Come to LA again and we'll get some froyo. Cute shirt! It's very spirited! Mmmm now all that I can think about is coconut froyo! I'll most likely end up there tomorrow - I can't keep a froyo craving at bay for long! I love froyo and I'm hungry! This isn't helping!! seems like everyone was at this great party. 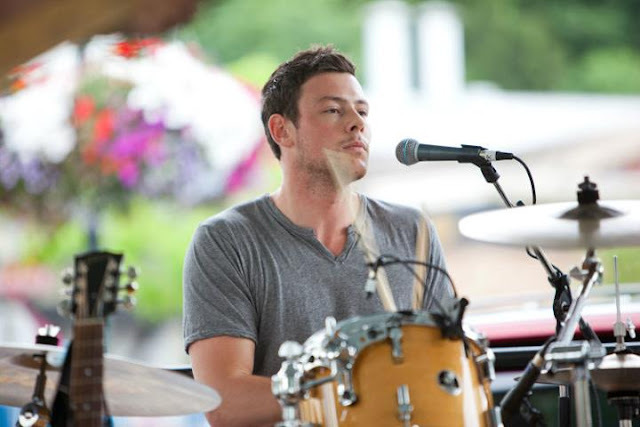 Looked like a good time - well how can it not be with Cory there?? Love your little butterfly shirt. Love the little butterfly top! I wish we had a pinkberry here... we have TCBY and yogurt mountain.